G Balakrishna, a 25-year-old body-builder from Whitefield, Bengaluru was crowned Mr Asia 2016 at the 5th Phil-Asia body-building championship in Philippines. 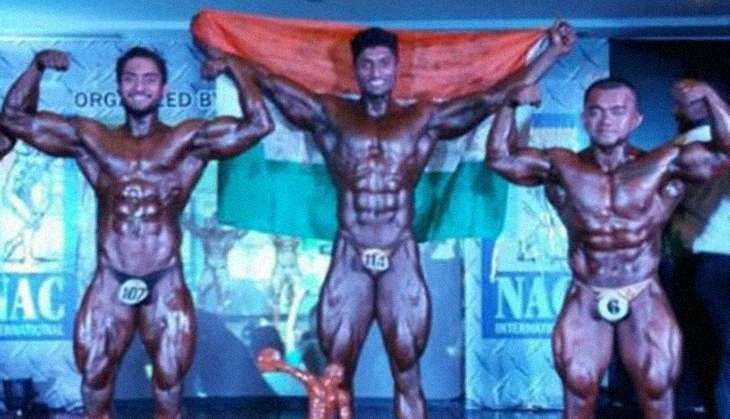 Balakrishna, who is fondly called the 'Arnold Schwarzenegger of Whitefield' also won the Mr Universe Under-24 junior contest in 2013 in Germany and the Mr Universe title in the same category at the world championship in in 2014. The newly-crowned Mr Asia runs a water tanker business, which he founded in 2010. Before making his foray into the water tanker business, he was a gym instructor. For the 5th Phil-Asia body-building championship, Balakrishna was trained by Sangram Chougla of Mumbai and Munish Kumar of Punjab. Businessman Koshy Varghese and Whitefield Settler and Residents Associations helped raise funds for Balakrishna to participate in the championship. "I am proud of my achievement and hope to repeat it more often with some financial support. I owe it to my mother, Parvathamma, and brother Rajesh who have been my pillars of support," The Hindu, quoted Balakrishna as saying. When asked to reveal his fitness regime, he told the daily: "I am maintaining my position with a rich daily diet that includes 750 g of chicken, 25 eggs, 300 g of rice, 200 g of vegetables along with fish for extra protein and fruits."